If you’re a fan of avocados, you’ll be glad to know that July 31 is National Avocado Day. This is a perfect occasion to treat yourself to some guacamole, avocado toast, or any other avocado dish that you fancy. The avocado is a tree that has originated in Mexico but is widely cultivated in tropical and Mediterranean climate across the world. Its fruit are rich in monounsaturated fat (mostly oleic acid) and other nutrients such as B vitamins, vitamin K, vitamin C, vitamin E, and potassium. Due to its high unsaturated fat content, avocado is considered a healthy source of fat. It is an important staple in the diet of people who have limited access to other fatty foods, whether because they are vegetarian/vegan or due to other dietary restrictions. 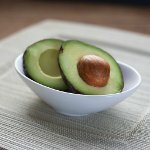 Oleic acid contained in avocado doesn’t increase cholesterol levels and therefore is considered safe for the cardiovascular system. Like with most food-related observances, the origins of National Avocado Day are unclear. But does it really matter? We think it doesn’t. What matters it that you get to enjoy this delicious super food – sometimes even for free. For example, to celebrate the 2018 National Avocado Day, Chipotle offered free guacamole with online and mobile app orders, as long as customers entered a special coupon code.